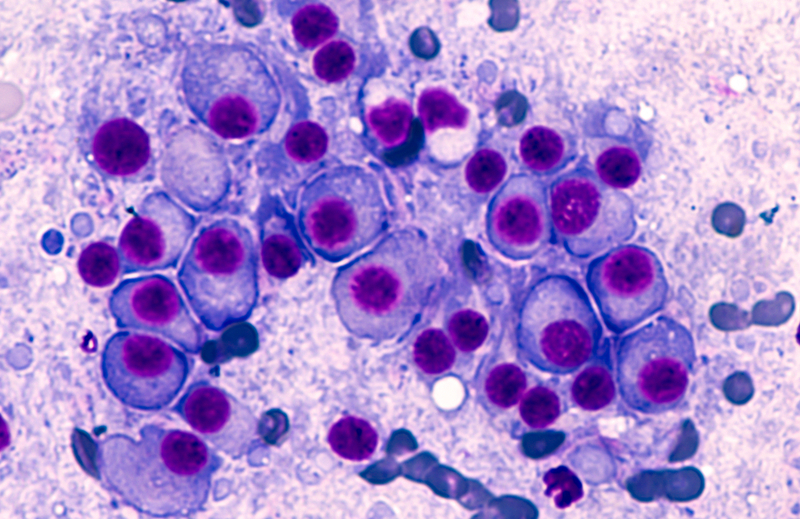 AbbVie will partner with Teneobio to develop and commercialize its lead program, the preclinical cancer immunotherapy candidate TNB-383B for multiple myeloma, through a collaboration that gives AbbVie the option to buy the startup. TNB-383B is a bispecific antibody designed to simultaneously target B-cell maturation antigen (BCMA) and cluster of differentiation 3 (CD3). TNB-383B is among Human Heavy Chain Antibodies (UniAbs™) the company is developing for indications in cancer, autoimmunity, and infectious diseases, using its TeneoSeek antibody discovery engine, designed to rapidly identify large numbers of unique binding molecules specific for therapeutic targets of interest. TeneoSeek consists of genetically engineered animals such as UniRat®, a proprietary heavy chain only, human immunoglobulin transgenic rat; and OmniFlic®, an engineered rat with a fixed light chain for development of bispecific, fully human antibodies. The platform also combines next-generation sequencing, bioinformatics, and high-throughput vector assembly technologies. Teneobio says TeneoSeek’s sequence-based discovery approach is designed to identify a large set of diverse UniAb leads with broad epitope coverage of target antigens. UniAbs are intended to combine antibody specificity with developability through their fully-human VH domains, UniDabs™, which can be linked to Fc’s or serum albumin for the development of novel therapeutics with multi-specificity, increased potency and extended half-life. Teneobio has an undisclosed number of preclinical antibody candidates under development, but has disclosed that its pipeline includes a trispecific antibody for lymphoma; a bispecific antibody for Gp120 indicated to treat HIV; and mono- and bispecific immune checkpoint inhibitors. Oncology is one of AbbVie’s four primary therapeutic areas; the other three are immunology, virology, and neuroscience. In discussing fourth-quarter and full-year 2018 results with analysts last month, AbbVie chairman and CEO Richard A. Gonzalez cited a 50.3% year-over-year jump in Q4 sales, to more than $1.1 billion, for its blood cancer treatment portfolio led by Imbruvica® (ibrutinib) and Venclexta® (venetoclax tablets). Imbruvica generated $1.006 billion in Q4 net revenues, up 43% from a year ago, and $3.590 billion for all of 2018 (up 44% from 2017), primarily driven by continued uptake in frontline chronic lymphocytic leukemia (CLL), Gonzalez said. Venclexta racked up $124 million during the fourth quarter and $344 million in 2018 net revenues, which according to Gonzalez reflected continued uptake in the second line plus setting, as a result of expanded approval in the broad relapsed/refractory CLL segment in June. “Today, this franchise is roughly $4 billion with more than $1 billion of growth expected in 2019, and significant growth anticipated over our long-range plan,” Gonzalez stated January 25 during AbbVie’s most recent quarterly conference call, according to a transcript published by Seeking Alpha. Teneobio said it plans to launch its clinical program for TNB-383B during the first half of this year, after filing an IND with the FDA last month. AbbVie has agreed to pay $90 million upfront to Teneobio, which has agreed to continue developing TNB-383B through Phase I. AbbVie will retain an exclusive right to acquire a Teneobio affiliate, TeneoOne, and lead subsequent global development and commercialization of TNB-383B. Should AbbVie exercise its option to acquire TeneoOne, its former stockholders would be eligible for undisclosed regulatory and commercial sales milestones. Based in Menlo Park, CA, Teneobio has attracted funding from institutional investors that include Lightspeed Venture Partners and Sutter Hill Ventures.